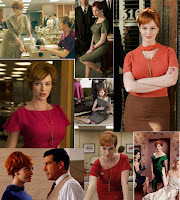 This was one of the pictures shown to us by Stef on Split Coast for our inspiration challenge this week - pictures of characters on the TV show Mad Men - do you watch it? I do not but I guess it's set in the 60's? about an office? I was inspired by the colors of the ladies outfits and the gold chain necklaces several of them are wearing - and I made this Thanksgiving card! I cuttled the panels with the Argyle, Distressed Stripes and Swiss Dots folders and tied two gold ribbons around the panels. I sponged the sentiment edges with Papertrey Ripe Avocado ink and added gold rhinestones and a leaf brad. I used the sketch from the Nov Fan Club challenge on Split Coast and I'm entering this card in the Caardvarks photograph challenge. We were to be inspired by a picture of several ears of Indian Corn. It was cold, cold, cold here in New England today! In the 20's and windy! I like it though - kind of brisk and invigorating - I'm ready for the winter change of season - I guess that's why I like living here!! I'm so glad you came by today! 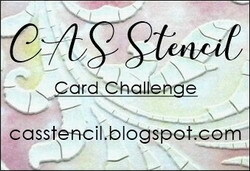 Over at the Caardvarks Blog they have monthly and micro challenges - to make cards using a given subject, topic or color. They are a really fun group and you should check it out - they offer prizes to the winner from companies who sponsor them. Here are 3 cards I made for their Fruits and Vegetables March Challenge and a purple card for their Purple Snurple micro challenge (where you have just 2 days to submit a card)to make a card all in purple. All three vegetable cards are made using the retired set from Stampin Up called Vegetable Garden. I love this set but have hardly used it. That's why challenges are so good for us - they make us get creative and use all the 'stuff' we stock our stamping rooms with just 'in case' we ever might need it! So this card above is obviously the ear of corn stamp - this is my favorite stamp in the set but it's so big it really takes up the whole card! I used Adirondack Lemonade and Meadow ink colors to stamp it. These inks are juicier than some so you get a really rich deep stamp from it. The green card stock is a Bazzill so it has a texture to it. I punched two holes on the base of the ear and knotted some twine through the holes - I thought this would give the impression of the corn silk. My next vegetable is the tomatoe (you say tomato)! I think I need something more on this now that I look at it - but I again used the Adirondack ink - this time Watermellon and attached a pretty red felt rick rack along the top. The sentiment is up on dimensionals. Maybe I should have stamped a splatter over the white? What do you think?? And my last vegetable is the pea! I love how this designer paper by K&Co matches the shape so well! I used Meadow and Lettuce Adirondack inks on this card and the sentiment and pea panel are both up on dimensionals. I added three rows of the ribbon and tied a knot around the middle one. 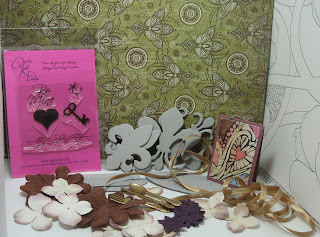 Accessories: ribbon - Martha Stewart, 2 oval punches, dimensionals. And my last card for tonight is my Purple Snurple Take a Deep Breath card! I wanted to keep this clean and simple to appreciate the textures of it. It looks better in real life than in the picture. I used Elegant Eggplant and a lighter purple Card Stock. I stamped the vellum (which I heated with my hot gun lightly to dry it before touching it or it would smear!) and sentiment with Hydrangea ink by Close To My Heart and I used purple dew drops on the sentiment and upper corner. The butterflies are by Papertrey Ink and the sentiment is My Favorite Things. I hope these cards encourage you to eat your vegetables! and to check out the Caardvarks blog and make some cards for their challenges. Thanks for spending some time with me tonight! It's 60 degrees here at 10:46 PM so I'm happy! I got to wear my spring coat to work today instead of my heavy down one finally. Hope to chat with you again tomorrow night - although there is a new CSI on FINALLY! So hopefully I get my sketch card done before it comes on! Happy Saturday everyone! I didn't get to stamp last night because DH and I went to see a play called Three Tall Women by Edward Albee. Have you seen it?? It's about a woman at the end of life remembering all the parts of her life - and the 3 women in the play each represent a stage - youth, middle age and elderly. It was really interesting! So - today I was raring to go on the Inspiration Challenge on Split Coast. Today we were to find something in our home that inspired us to make a card. I chose this tile table above as inspiration. I got it at Michaels on sale last year and use it inside to put plants on and out on my deck in the summer for drinks or food when we are sitting out there. It was fun trying to make this card look just like the tile. I took pictures of each step in the process for you to see how I put this together. 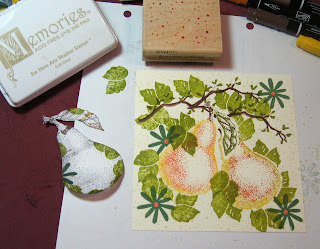 First I stamped my pear on the left on a piece of Very Vanilla Card Stock. I used markers to color right on the stamp so it could be multicolored. Then I stamped it on a piece of paper and cut it out. This cut out is my mask to tape over the stamped pear on the left so when I stamp the second pear it looks like it's behind the first pear. I use Scotts Double sided removable tape to attach the mask so it comes off easily without damaging my stamping. 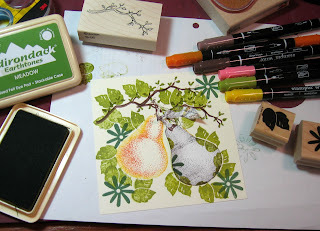 Then I stamped my second pear (coloring it with markers and not coloring the leaf ) on the right over the mask. I also stamped my branch 3 times connecting the ends a little so it looks like one long branch. I colored in my branch and it's leaves. Next I moved the mask to cover the second pear and stamped the leaves and flowers. 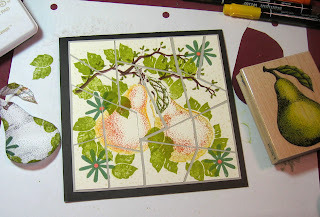 Again - the leaves will look like they are behind the pears. You can move the mask back and forth as you decide where you want to stamp your leaves. 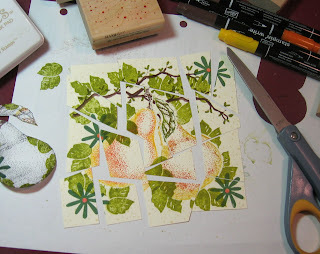 Next I removed the mask and stamped a few leaves over the pears. Then I cut up my image in a random pattern. Be sure you lay the cut out pieces back down in order as you cut them or you may have trouble figuring out where they go!! I laid my pieces on a Sahara Sand background piece to space them out evenly. Next I attached the pieces to the background attaching each corner first to try and make it spaced as evenly as possible as I attached everything. 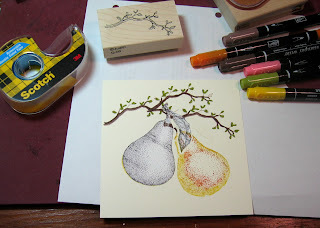 I realized that the pears looked too light on my stamping and were sort of overcome by the dark leaves - so I colored in the centers with my marker and then blended it a little with my aqua painter. The final step is to attach the panel to the black card. This card is 6 x 6 so rather large! I hope you enjoyed this tutorial and that you try it out - I'd love to see what you do with this! Link back your card if you create something!! Have a great rest of your Saturday - see you tomorrow! Leaf - Blossoms Abound Stampin Up, Flower - Bodacious Bouquet Stampin Up. Well - I went to Jury Duty this morning and I'm happy to say they didn't need any jurors today so we were dismissed a little after 12 noon. The only trial up today chose to let the judge decide the case. Phew!! I believe in doing my civic duty and certainly would have served if empanelled - but I'm just as happy that they didn't need me! So of course I went shopping at AC Moore and got some nice pieces of designer paper - one of which I used on this card today - it's by K & Company - Amy Butler. What a great Try a New Technique challenge they had on SCS today - a Flap Fold card - I have been wanting to try one of these. Guest hostess JoLynn found this tutorial by Rose Ann Reynolds on the Scor-pal site. I made mine an anniversary card - I used my Coluzzle circle and knife to cut the curved top edge and the flap is kept closed with a Magnetic snap Closure by Basic Grey that I purchased on line at Eclectic Paperie. 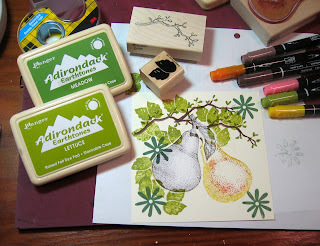 I stamped the pear twice with embossing clear ink and covered it with Denim Embossing Powder from Adirondack. I colored them with my Prismacolor markers. Then I cut one with a nestability circle and cut out the other. I had to stamp an extra leaf to have one going to the left. I put one pear up on dimensionals as well as the sentiment. I sponged the edges of the flap, the circles and the sentiment with Buckaroo Blue ink. On the inside pictures you can see where I put one piece of the magnetic closure on the top flap - I attached it with a glue dot - the other piece is underneath the verse panel. You add the panel to cover the magnet. You also can see that I stamped the pear over the verse to add a little interest. I used my Soft Sand Shadow ink by Memories so you could still read the words. I'm also submitting this card to the Caardvarks Homegrown challenge - to use fruit or vegetables on your card. See that challenge here. Well - I'm off to cook supper for my starving husband who just finished up painting our bedroom walls and ceiling - he really is a handy-man! I love the smell of fresh paint and it's fun to have a room done over - almost like you are in a new house! Now I have to decorate to go with the new color (Marlboro Blue). I also have to design a card my sister wants for her brother-in law who is retiring - he loves race car driving and is moving to Arizona so I have to incorporate those two things into the card! Fun Challenge! Faux Cloisonne, My Caardvark Winnings and Some News! I used a picture from a Martha Stewart of framed pictures on a wall in white, yellow and grays. Then I stamped the flowers and leaves on the page with my clear embossing pad, poured gold embossing powder over it - tapped it off and heated it with my hot gun. Then I just cut out the flowers and leaves. Voila! Faux Cloisonne! I did use the suggested Paper Glaze over them but I don't know if it really made much difference - might have given it a little more sheen and added some sturdiness to the paper. Some of the flowers and the sentiment are up on dimensionals. I sponged the edges of the card with Close to Cocoa. I just received the green designer paper (K&CO) as part of my prize package that I won for a friendship card challenge over at Caardvarks that I showed you on a few entries down on my blog here. Look at all the great things I got for my winnings! There were even more pieces of designer paper - I couldn't fit it all in and the flowers are just terrific - there are huge brown ones and felt purple ones - and even a little set of metal silverware! There's a stamp set from Queen Kat Designs. So go over and check out the Caardvark challenges. You could win too! Ok - now for my exciting news I mentioned last night. I've been invited to teach some card stamping and paper crafts workshops at a great little antique/gift shop called the Cooperage in Townsend, MA near where my sister lives! I went over there to see if they would be interested in selling some of my cards and they ended up buying some cards and asking me if I'd be interested in teaching some workshops! So I'm going to do four in April and we'll see how they go and maybe I'll do more. So I'm actually going to make a little money from my very expensive hobby!! 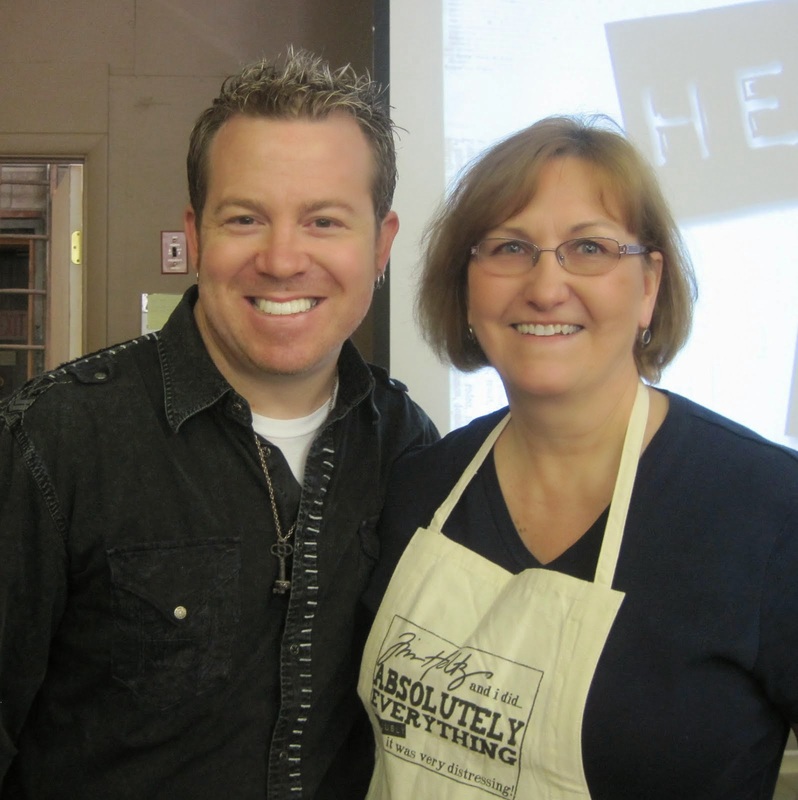 So if you live anywhere near Townsend - leave me a comment - maybe you can come by and take my class!! 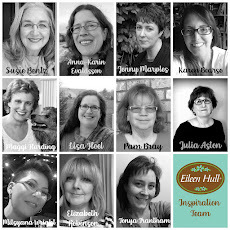 Thanks for coming by again - I so appreciate your looking at my 'stuff' and sharing my news! I Won a Card Contest on Caardvarks! 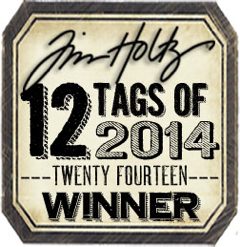 I'm so excited - I just have to share this news with you! I just found out that I won a contest that I entered a card in over at Caardvarks. During the month of February they had a different Love card contest each week - love of baby, love of spouse and last week was love of friends. 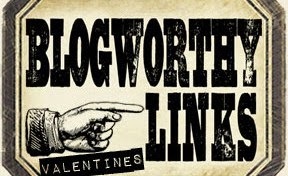 So I sent in my smocked dress card that I posted here on my blog on 2/14/08. So I'm one happy stamper today! Thanks for letting me share my fun news with you!